Keep reading to learn more about why you’ll want to earn more reviews this year. The biggest reason to earn reviews in 2019 is that consumers read reviews. When users discover a new business, product, or service, they want to learn all they can about it. They rely on reviews to help them get insight. People rely on friends and family to make recommendations for them. When friends and family don’t have experience with a product or service, they rely on other consumers for information about that product or service. Reviews are crucial for deciding whether someone buys your product or uses your service. People want to know the good and bad about buying from your company. By reading reviews, they can make an educated decision on whether to choose your business. Previous experiences matter to your audience. If you don’t have any reviews on your business page or social media pages, your audience will be hesitant to try your business. They need affirmation about what it’s like to work with your business, so you must obtain reviews on your site. This is even more crucial if you offer products or services that are a little pricier. People don’t want to invest the money unless they feel confident that they won’t need to worry about their investment. Reviews documenting previous experience help your audience feel more confident about choosing your business. Reviews present a great opportunity for you to learn what is and isn’t working. When people leave reviews for your business, they often leave constructive criticism that can help you grow as a business. You may find that people are saying the same thing about one of your products. Whether it’s regarding the material, colors, or price, many people will leave similar constructive criticism in regard to your product. This means that you can improve your products for the future. You’ll get collective insight into your products and how they work for your audience. If there is a common problem, you can fix the problem to help improve your product. It will help you earn more conversions in the long run because you will have a better product. Reviews give you great insight into how your audience perceives your products so you can improve them. When you’re selling your products and services, there are always going to be other businesses that offer the same products or services. You want to perform better than them, and reviews are a prime indicator of how you stack up against the competition. Reviews allow you to see how you stand compared to your competitors. 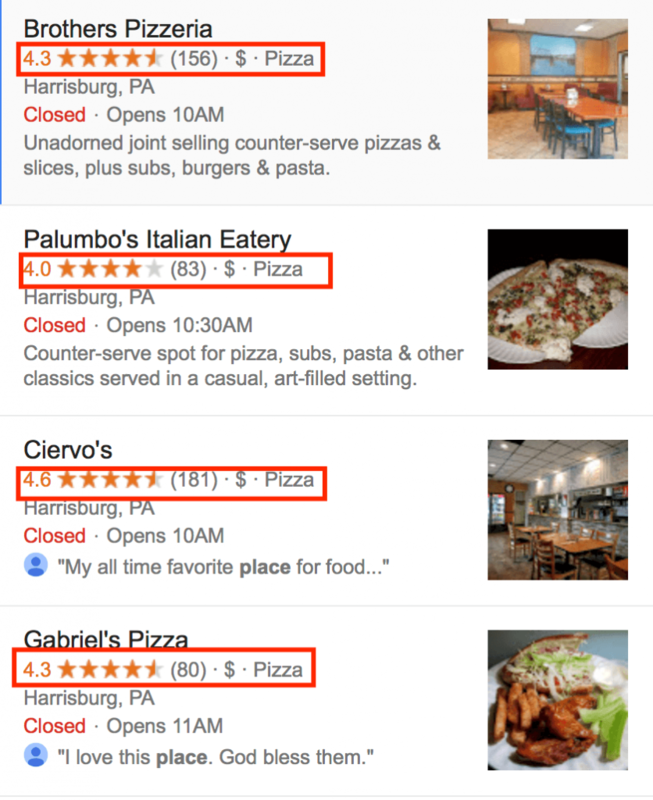 You can see if you have higher reviews or if your competitors are outranking you. It’s a quick comparison guide that helps you focus on where you can improve your campaign. You want to have a better rating than your competitors. Leads are more likely to choose the business with the higher star rating because they believe it’ll produce the best results for them. You want to have a higher star rating than your competitors to drive more leads to choose your business. When people leave positive comments in their reviews, it helps drive new leads to choose your business. On places like Google, they will pull information from different reviews and highlight them in the Google My Business listing. This is something simple that has a large impact in driving leads to choose your business over a competitor’s businesses. Reviews help you earn more conversions for your business. People are more likely to convert when they see positive reviews for your business. Since many people already had a pleasant experience after converting, new leads feel comfortable choosing your business over the competition. These tidbits of information motivate people to convert. They can gather all the information they need regarding your product or service. After reading about others’ experiences, they can come to their own conclusions about whether to choose your business. More than likely, if you have positive reviews, people will choose your business. You don’t want to have all five-star reviews, as it can make people suspicious that your reviews aren’t authentic. If your rating falls between four and five stars, your audience is likely to choose your business. On the other hand, a low star rating will deter people from converting. 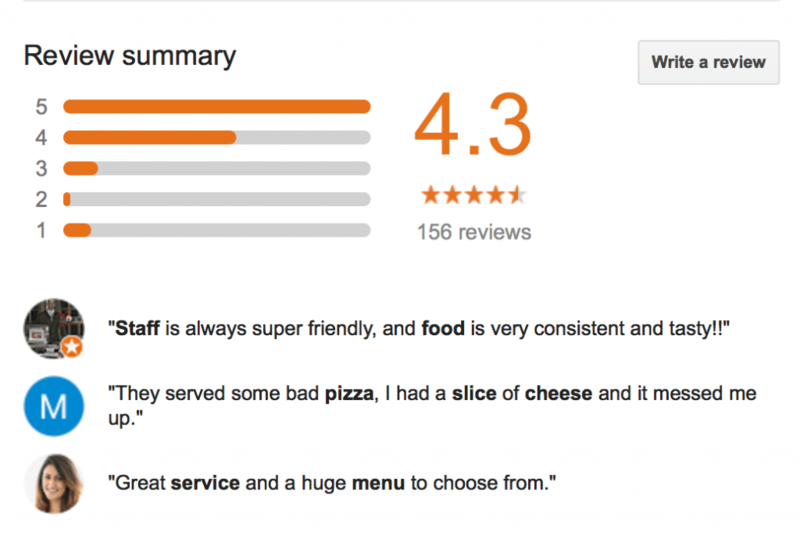 People don’t typically select businesses with one-star ratings. If you fall into this category, you must work on improving your audience’s experience (and maybe your products or services, too). Brand recognition is a crucial part of search engine optimization (SEO). Business reviews matter in 2019 because they help you build up your brand. It’s an opportunity for you to showcase your brand and build a positive perception of your business. When users leave a review for your business, you must take the time to respond. Responding to reviews is an integral part of building a strong business-customer relationship. It shows that you care about your customers and the experience they have with your business. You’ll want to thank people for positive reviews as they leave them. Something as simple as saying “Thank you for your feedback! We’re glad you enjoyed [product or service].” It’s a great way to show your audience that you care about their business. With negative reviews, you can build your brand further. You can help solve issues and show other people that you’re willing to fix problems and make customers happy. It’s a great way to build a positive image of your business. When people see your business trying to solve issues listed in reviews, it shows the initiative to try to create a better experience for your audience. This builds your brand in a positive light and helps your audience see why they should choose your business. Business reviews matter in 2019 because they drive more traffic to your website. Your audience will access reviews from your Google My Business page, Facebook, and other third-party sites. These reviews will determine whether your leads decide to check out your business more or turn to a competitor. If you have positive reviews, you drive more traffic to your website. More people will check out your business and learn about what you have to offer. They’ll visit your page and spend time getting familiar with your brand. This is a great way to get more leads on your page and get them interested and engaged with your content. They’ll spend more time learning about your business, products, and services. When you boost traffic on your website, you’ll increase your website’s ranking. If people spend a long time on your site, Google will believe that your information is valuable. They’ll increase your site’s ranking to help you reach more valuable leads for your business. Reviews are fundamental to your success. 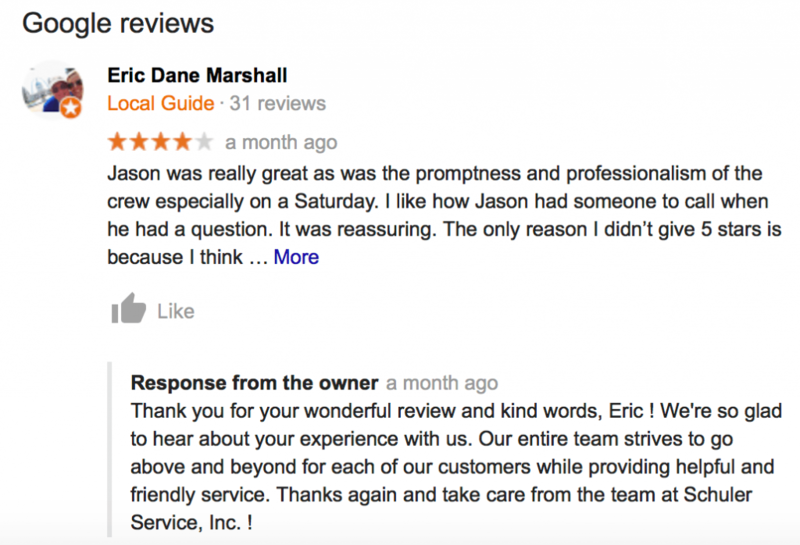 Want to learn more about how reviews can increase trust among customers and help grow your business? Check out our review management services and contact us online today!